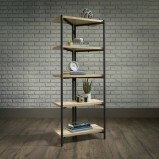 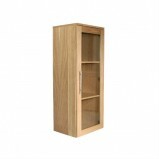 Industrial Style Raw Oak Chunky 4 Shelf Bookcase A home office industrial style 4 shelf bookcase with sharp, minimalist design. 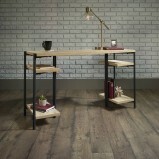 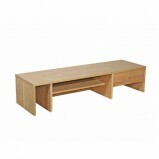 It offers a generous shelving area finished in a raw oak effectFeatures Home office industrial style 4 s..
Industrial Style Raw Oak Chunky Desk A home office industrial style bench desk with sharp, minimalist design. 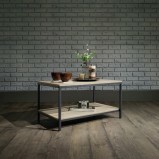 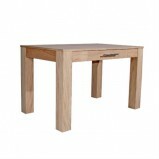 It offers a spacious work area finished in a raw oak effectFeaturesHome office industrial style chunky bench desk Sturdy 1" t..
Industrial Style Raw Oak Coffee Table A home office industrial style coffee table with sharp, minimalist design. 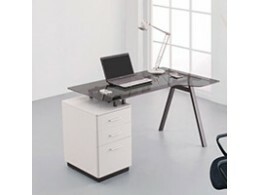 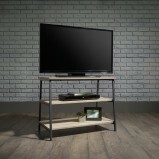 Ideally matches the other components from the rangeFeatures Two spacious levelsDurable, black metal frame Finish..
Industrial Style Raw Oak Trestle Table TV Stand A home office industrial style trestle table TV stand with sharp, minimalist design. 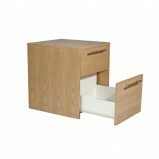 It accommodates up to a 36" TV weighing 22.5 kg or less. 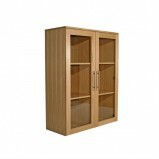 Combine two units to accommodate up to a .. 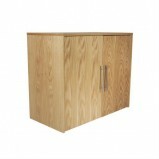 Stylish home office Oak Veneer desk Complete with Keyboard and storage shelf ..
Oak veneer cupboard Complete with fixed shelf ..
Oak veneer mobile pedestal Complete with three drawers Two stationery drawers and one filing drawer Drawers accept A4 folders (without tabs) ..
Oak veneer desktop hutch Stationery drawer Multiple shelves Media storage ..
Oak veneer mobile pedestal Complete with two drawers One stationery drawer and one filing drawer Drawers accept A4 folders (without tabs) ..
Oak veneer bookcase with two shelves Clear glass door front .. 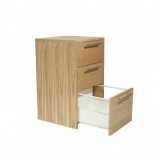 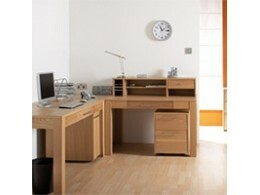 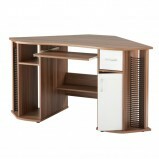 Stylish home office Oak Veneer desk Flip down keyboard drawer Options 1200mm or 1500mm sizes ..
Oak veneer bookcase with two shelves Clear glass double door front ..
Ohio Black Leather and Chrome Barstool The Ohio is a simple yet attractive barstool made from leather, on a beautiful chrome frame and footrest. 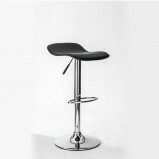 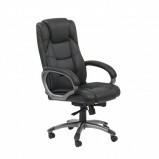 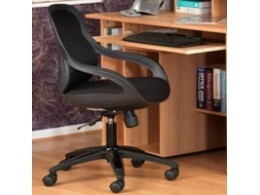 It features 360 turning and seat height adjustment, with the padded, leather seat shap..